Daily Illuminator: Even More Munchkin CCG Prerelease Events! 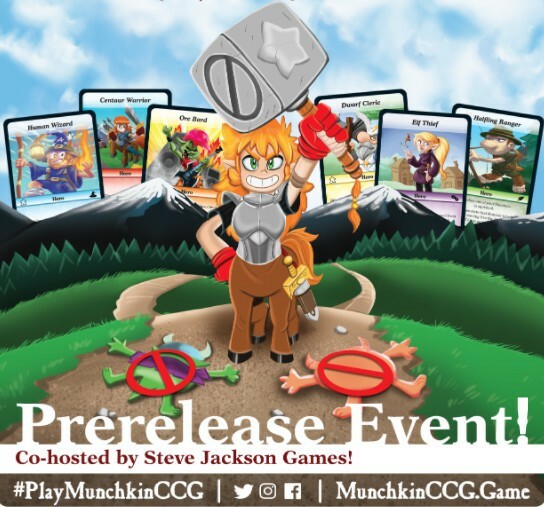 February 12, 2018: Even More Munchkin CCG Prerelease Events! Given the success of our recent Munchkin Collectible Card Game prerelease events (you can read about some of our trips here and here), we've added a few more around the country! During our New York Toy Fair visit, Phil and company will be stopping by stores in the New York/New Jersey area to teach the game, plus we'll be at another event in Austin! Contact stores for details, but reserve your seats now; space is limited! Sunday, February 18 – 12 p.m.
Sunday, February 18 – 3 p.m.
Friday, February 16 – 5 p.m.
Friday, February 16 – 6:30 p.m.